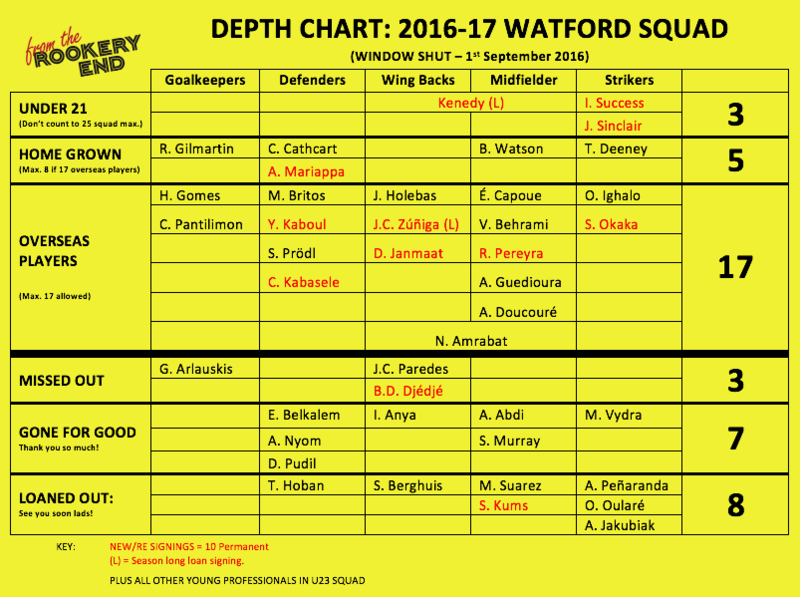 Another active transfer window for Watford, aren’t they all under the Pozzo Family, so Jon and Mike Gathered to talk about the outs, the final few ins as well as the how were are feeling about the the increase in the number of players who have been brought and then sold. The pod was recorded in front of a live Facebook and Periscope audience and we can’t thank the 100s of fans who watched and interacted with views and questions. In the podcast we talk about this depth chart.